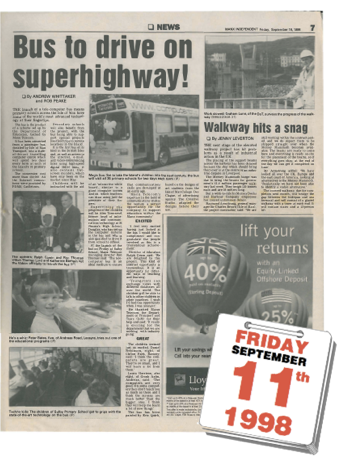 Bus to drive on superhighway! 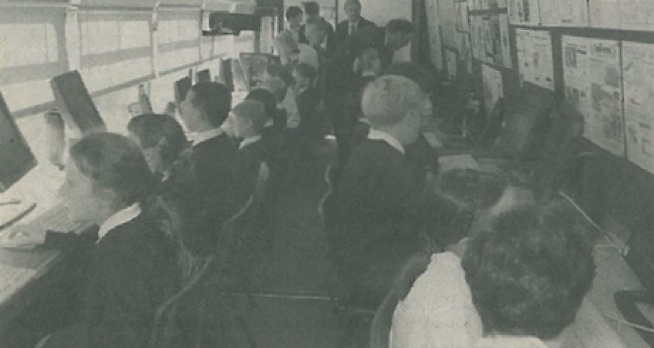 THE launch of a tele-computer bus means primary schools across the Isle of Man have some of the world's most advanced technology at their fingertips. 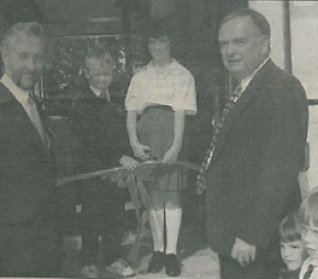 The bus is the product of a scheme set up by the Department of Education, backed by Manx Telecom. 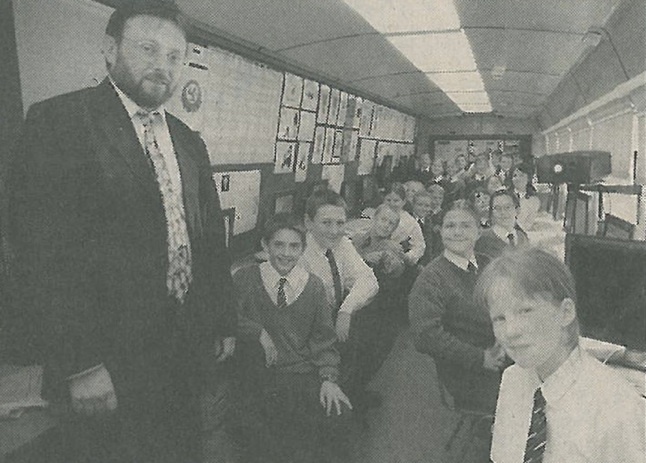 It has been converted from a passenger bus, donated by Isle of Man Transport, into a state­of-the-art travelling computer centre which will spend two days every term at each of the Island's 35 primary schools. The conversion cost more than £50,000. All the Internet connections were provided by PDMS, Castletown. Secondary schools will also benefit from the project, with the bus being able to support special projects like field trips to remote locations in the Island. It is the first bus of its kind in the British Isles and, as well as access to the internet, e-mail, and video-conferencing links using high-speed digital ISDN lines, it also contains flat­screen monitors, which have only been on the market since May. 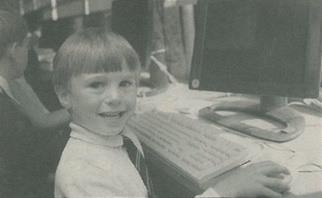 Children will be instructed with the aid of an 'interactive white board', similar to a giant computer screen and on which teachers can draw using just the pressure of their fingers. 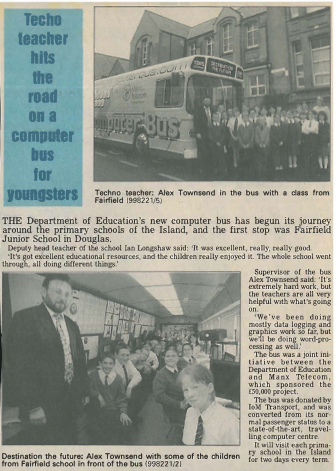 Supervising the progress of the children will be Alex Townsend, former head of information and communications technology at St Ninian's High School, Douglas, who has set up the computer systems in the bus and who is also qualified to drive it from school to school. At the launch of the bus on Friday at Sulby School, Manx Telecom managing director Ron Thomas said: 'The tele­computer bus is an ideal medium to ensure that communications skills are developed at an early age. Director of education Ralph Cowin said: 'We are delighted by this project. This kind of internet opportunity is tremendous. It is an opportunity for different ways of teaching and learning. The bus has been painted by Eric Quirk, based on the designs of art students from the Isle of Man College. Des Clague, of advertising agency The Creative Studio, adapted the designs before their use. 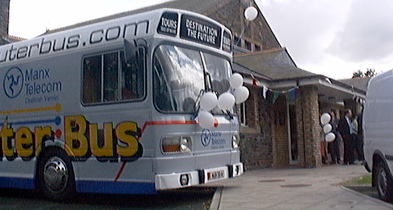 SEPTEMBER 1998 saw the launch of the “Manx Telecomputer Bus”. THE Department of Education's new computer bus has begun its journey around the primary schools of the Island, and the first stop was Fairfield Junior School in Douglas. Deputy head teacher of the school Ian Longshaw said: 'It was excellent, really, really good. Supervisor of the . bus Alex Townsend said: 'It's extremely hard work, but the teachers are all very helpful with what's going on. 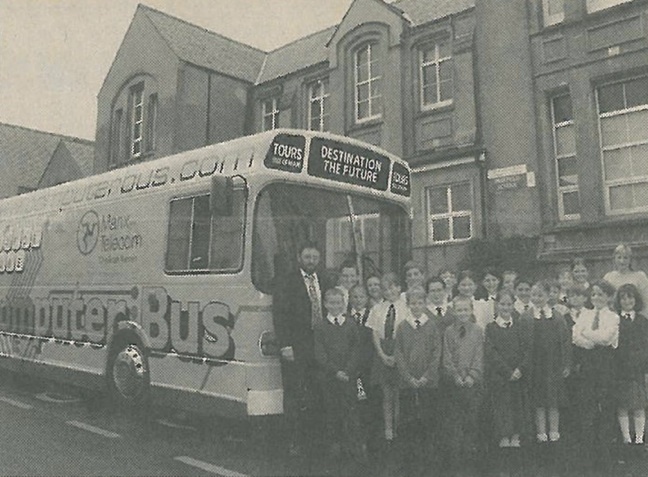 The bus was a joint initiative between the Department of Education and Manx Telecom, which sponsored the £50,000 project. The bus was donated by IoM Transport, and was converted from its normal passenger status to a state-of-the-art, travelling computer centre. It will visit each primary school in the Island for two days every term. 1.The bus was not ‘donated’ by Isle of Man Transport as stated. The Department of Education was charged £5,000 plus the cost of repainting. 2. It is unlikely that the bus was the ‘first’ of its kind. But it has certainly proved to be the longest lived. The original plan was for three years. Critics at the time gave it between six and twelve weeks. Over 20 years later - and three trips to the UK - it is still going. 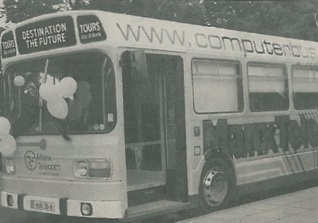 3.It is sometimes overlooked that in addition to Manx Telecom, TOURS (Isle of Man) were crucial to the project going ahead, providing covered accommodation and technical support for the bus until 2009 (see photo below). 4.Back in 1998, few had any idea what the internet was. Much of the early work was explaining “www dot - no spaces”. 5.It was never the intention for the bus to “visit each primary school in the Island for two days every term” as stated in the articles. 7.The picture captions in the second article were transposed in the original. 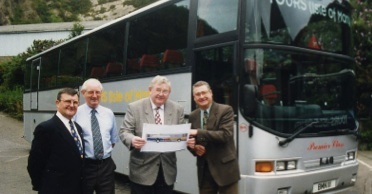 Left to Right: TOURS (Isle of Man) Bernie May, Mike Kelly, David Castle, Roy Lightfoot holding an early design for the computer bus back in 1998.